What’s in a face? There’s a long list of fashion/lifestyle blogs that I subscribe to and most of the draw comes from the voyeuristic pleasures I get from peeking into someone else’s life/closet. Gawking at pretty things and pretty people is fun. 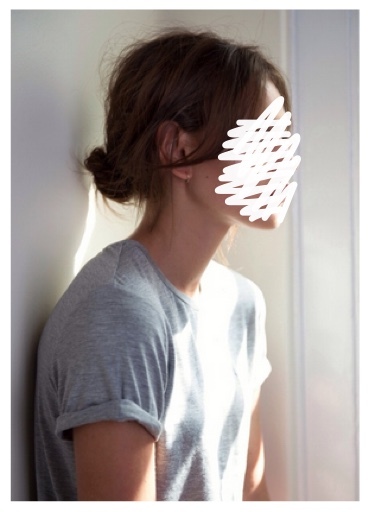 But what I didn’t expect was that of all the blogs, I’m most intrigued by the ones that are faceless, whether the blogger crops out her head or stratches it out in old school paint programs. I find that it shifts the focus onto the topic of style and the substance of style. Don’t get me wrong I still love my full faced bloggers but the faceless ones have a distinctive quality and place in my feed. The featured image above is taken from thefacelessstyle blog. It’s creator designed the blog with a LookBook concept, each post with a mysteriously hidden face, making it solely about style (and not the person). I’m not a fan of many of the outfits on the site, but it’s conceptually interesting and there are enough gems here to keep me coming back.